YELLOW SPRINGS — Antioch College will celebrate its rebirth when 21 students participate in commencement exercises Saturday, June 20. The inaugural Mann fellows helped shape the college into what it is today by working with staff and professors to develop and implement policies and procedures as the school moves forward. A pioneer of a different type will be the keynote speaker as noted U.S. 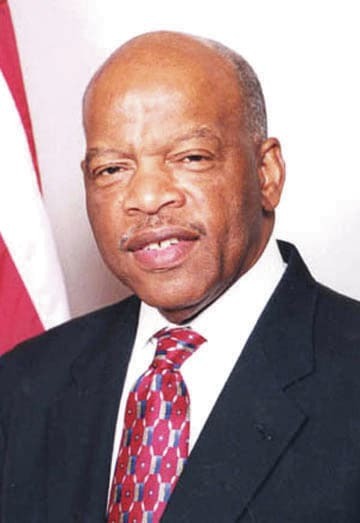 Congressman John Lewis will address the graduates and guests. Despite more than 40 arrests, physical attacks and serious injuries, Lewis remained a devoted advocate of the philosophy of nonviolence. Lewis will bring a strong message to Antioch students about the role they can play in the present and future, according to Dr. Kevin McGruder, assistant professor of history. It won’t be the first time a civil rights leader spoke at Antioch. Fifty years ago, Dr. Martin Luther King Jr. addressed the graduates. Lewis’ address brings full circle the civil rights awareness and identity the campus has. It is free and open to the public. Coinciding with Reunion 2015, as many as 1,000 are expected to visit the campus during the weekend. Free parking is available on a first-come, first-served basis in any of the Antioch College lots on commencement day. A state-issued disability parking permit is required for parking in designated accessible spaces. Overflow parking is available at the Mills Lawn School, 200 S. Walnut St. The college will provide complimentary shuttle service from Mills Lawn School to the shuttle drop off area near the ceremony site. The shuttle will run before and after commencement— every 15-20 minutes, from 7:30-9:30 a.m. and from 12:30-3:30 p.m. No pickups will be made after 9:30 a.m. on commencement day.